[138 Pages Report] The fishmeal & fish oil market was valued at USD 8,756.59 million in 2016 and is projected to grow at a CAGR of 8.5% from 2017 to reach a value of 14,288.46 million by 2022. The basic objective of the report is to define, segment, and project the global market size of the fishmeal & fish oil market on the basis of source, livestock application, industrial application, and region. It will also help to understand the structure of the fishmeal & fish oil market by identifying its various segments. The other objectives include analyzing the opportunities in the market for the stakeholders, providing the competitive landscape of the market trends, and projecting the size of the fishmeal & fish oil market and its submarkets, in terms of value (USD Million) and volume (KT). This research study involved the extensive use of secondary sources, which included directories and databases, such as Hoovers, Forbes, Bloomberg Businessweek, and Factiva, to identify and collect information useful for a technical, market-oriented, and commercial study of the fishmeal & fish oil market. The primary sources that have been involved include industry experts from the core and related industries; preferred suppliers, dealers, manufacturers, alliances, and standards & certification organizations from companies; andorganizations related to all the segments of this industry’s value chain. In-depth interviews have been conducted with various primary respondents such as key industry participants, subject matter experts, C-level executives of key market players, and industry consultants to obtain and verify critical qualitative and quantitative information as well as to assess future prospects. The following figure depicts the market research methodology applied in drafting this report on the fishmeal & fish oil market. Key participants in the fishmeal & fish oil market are the fishmeal & fish oil manufacturers, suppliers, and regulatory bodies. The key players that are profiled in the report include FMC Corporation (US), Austevoll Seafood ASA (Norway), Croda International Plc. (UK), Oceana Group Limited (South Africa), and Omega Protein Corporation (US). The fishmeal & fish oil market is estimated at USD 9,500.99 million in 2017 and is projected to reach USD 14,288.46 billion by 2022, growing at a CAGR of 8.5% during the forecast period. 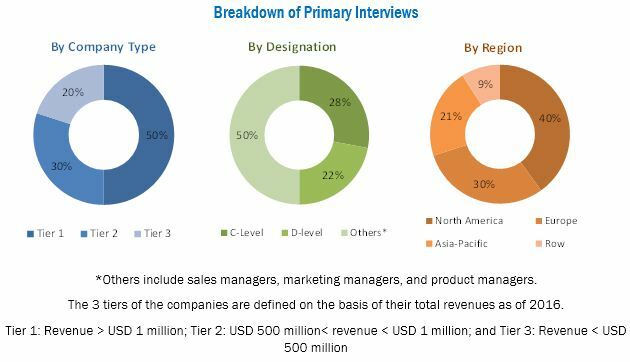 The global fishmeal & fish oil market is projected to grow due to factors such as rising use of fishmeal & fish oil in swine and poultry diets and improving productivity and performance of aquaculture. Salmon & trout are a widely used source of fishmeal & fish oil with a value of USD 2,362.5 million in 2016. This is due to the reason that salmon & trout fish farmers have increased their salmon cultivation to satisfy the growing demand of customers globally. Moreover, fishmeal is used in salmon & trout feed as one of the important ingredients that help to provide essential nutritional supplements to the fish. With the rise in aquaculture production, large amounts of fishmeal are diverted from terrestrial livestock feed to aquatic feed. Fish oil is the principal source of both energy and essential fatty acids ; therefore, its usage in the aquaculture industry has increased. Fishmeal & fish oil offer many benefits to aquatic animals such as improved immunity against diseases, higher survival & growth, and reduced incidences of deformities. In terms of livestock, the aquatic animals segment accounted for the largest share of the global fishmeal & fish oil market in 2016. The incorporation of fishmeal into diets of aquatic animals helps to reduce pollution from wastewater effluents by providing greater nutrient digestibility. Fishmeal, when added to the feed of aquatic animals, increases feed efficiency and enhances nutrient uptake, digestion, and absorption. This has resulted in an increase in the use of fishmeal & fish oil for aquatic animals. The Asia-Pacific region dominated the fishmeal & fish oil market in 2015. The region witnesses the maximum consumption of fishmeal & fish oil due to increasing livestock population and the demand for new and enhanced products. Developing economies in the region such as China, India, Vietnam, Thailand, and Japan contribute to a larger market share for fishmeal & fish oil due to increased local outputs and high import and export of aquaculture products in these countries. The challenges faced by fishmeal & fish oil manufacturers include a wide usage of alternative feed ingredients and microbial contamination in aquafeed. Plant-based ingredients serve as an alternative to marine raw materials such as fishmeal & fish oil, thus, fulfilling the high requirement of balanced and easily digestible proteins by aquaculture. A mixture of plant ingredients provides essential amino acids. Microalgae, insect meal, and GM plants are among some other substitutes that can possibly replace fish oil. The use of these alternatives serves as a challenge for the fishmeal & fish oil market. The fishmeal & fish oil market is diversified and competitive, with a large number of players. It is dominated by various players, depending on their core competencies. The key players in this market are FMC Corporation (U.S.), Austevoll Seafood ASA (Norway), Croda International Plc. (U.K.), Oceana Group Limited (South Africa), and Omega Protein Corporation (U.S.). These companies adopt strategies, such as investments and expansions, to strengthen their positions in this market. 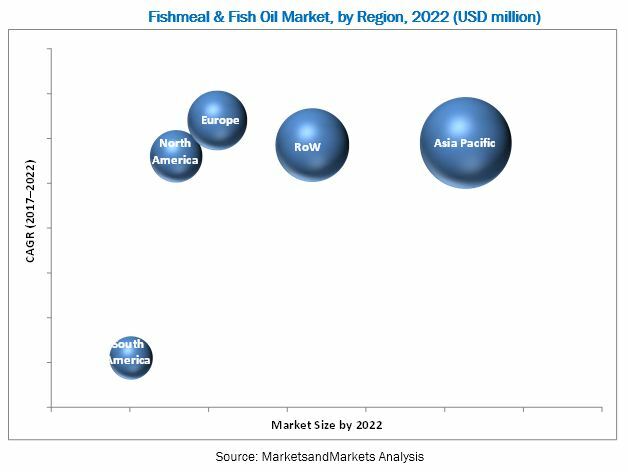 The fishmeal & fish oil market in each region has witnessed the development of subsidiaries, business units, and research centers of key players. These subsidiaries employ strategies through active research and by building regional distribution networks with regional players to sustain competition and capture a significant market share. *Top 19 Companies Analyzed for This Study are – FMC Corporation (U.S.), Austevoll Seafood ASA (Norway), Croda International PLC. (U.K), Oceana Group Limited (South Africa), Omega Protein Corporation (U.S), Sürsan (Turkey), the Scoular Company (U.S), GC Rieber Oils (Norway), Marvesa (The Netherlands), Tasa (Peru), Orizon (Chile), Pioneer Fishing (South Africa), Triplenine Group (Peru), Pesquera Exalmar S.A.A (Denmark), Corpesca SA (Chile), FF Skagen A/S (Denmark), Copeinca ASA (Norway), Colpex (Peru), Mukka Sea Food Industries Pvt. Ltd (India).